When Yuki Ono decided she wanted to have an internship in the United States, an Internet search led her to the Kizuna Project, a program facilitated by Cultural Vistas, a non-profit that connects people through international exchanges by providing career-building and culturally enhancing experiences. A 21-year-old student at Hokkaido University of Education in Hakodate, Ono is a native of Iwate Prefecture in the Tohoku region of Northeastern Japan, one of the hardest hit areas affected by the earthquake, tsunami, and nuclear disaster of March 11, 2011. 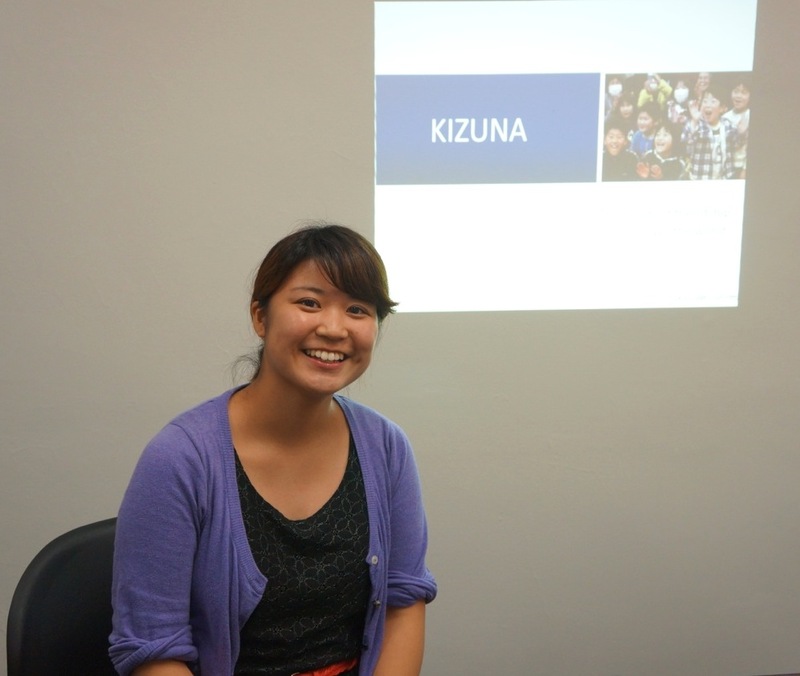 Through the Kizuna Project, Cultural Vistas is partnering with the Japanese government to offer internship opportunities for Japanese college students and recent graduates from Tohoku to live and work in the States. Funded by the Ministry of Foreign Affairs of Japan (MOFA) in cooperation with The Laurasian Institution, The Japan Foundation Center for Global Partnership, Japan International Cooperation Center, and Japan-U.S. Educational Commission, the Kizuna Project covers all costs included in the program, from airfare to meals to housing. It is an important project, as many Tohoku students cannot afford to travel abroad. Ono is one of fifty-five young adults chosen by Cultural Vistas to participate in the nationwide program to learn valuable job skills as well as to inform others about the events of March 11 and the progress that has been made through relief and recovery efforts. Six of the students have internships in New York and New Jersey. 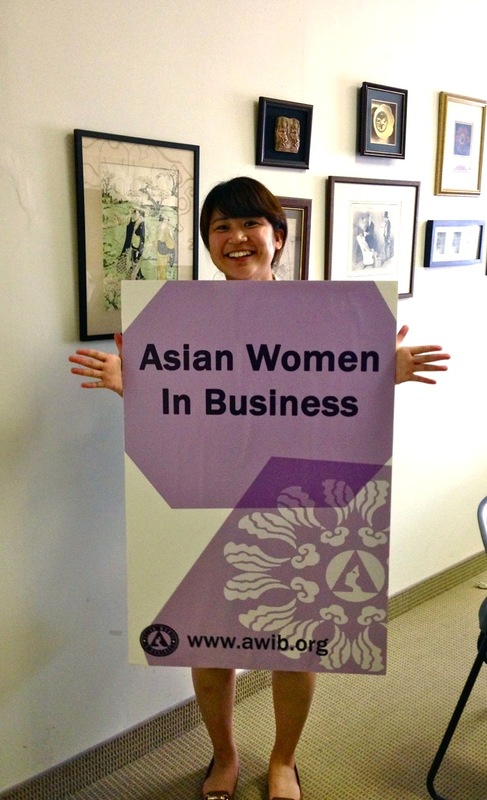 Ono’s internship is Asian Women in Business (AWIB), a non-profit organization that serves women and minorities through innovative programs and events. Wong was interested in participating in the Kizuna Project specifically because she wanted to help someone from Tohoku. After interviewing Ono via Skype, Wong knew the effervescent young woman would be a perfect fit for her office. Wong even encouraged others, including AWIB board member Julie Azuma, founder and CEO of Different Roads to Learning, to participate. As part of the Kizuna Project, Ono spent two months studying English at Kaplan International Colleges in New York before beginning her internship at AWIB on June 10, where she is making brochures and assisting with the non-profit’s annual benefit, which is on October 21. 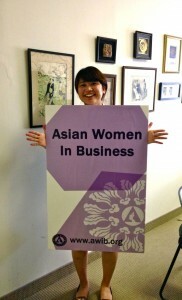 Ono is living in Queens with two students who are also part of the Cultural Vistas program, including Azuma’s intern. Together they are making the most of their time in New York, going to Broadway shows, museums, and landmarks such as Central Park and Coney Island. Ono made several friends from other countries during her two months at Kaplan, and they often go out to dinner. “I am eating more food from other countries instead of Japanese food,” says Ono, who especially enjoys Thai and Korean cuisine. This internship, coupled with an eight-month stint as an exchange student at the University of Alaska in Anchorage, has given Ono more confidence in her English-speaking skills. She and her fellow classmates at Kaplan gave a presentation in English at the United Nations International School, and she gave her own thirty-minute English presentation to her co-workers at AWIB, telling both audiences about her experiences with the events of 3/11. Ono was at school in Hokkaido when the triple disaster of the earthquake, tsunami, and nuclear meltdown struck Northeastern Japan. The 9.0-magnitude quake was so powerful that Ono felt it 250 miles away. Because lines of communication were down, it took her three days to contact her family in Iwate. Ono and a college classmate who is also from Iwate spent those three agonizing days watching the news of television, shocked by the destruction. Once communication was restored, Ono finally received some good news, “All my family and my friends survived,” she says. Still, there was a lot of adapting her family had to do in the aftermath of the disaster. Although the auto parts factory where Ono’s father works didn’t sustain major damage, other plants did, making it difficult to receive much needed supplies. Ono’s grandparents are rice farmers in Iwate. After the disaster they were able to harvest their crops, but the rumor of radiation spread throughout Japan and all over the world, so they were unable to sell their rice. With college occupying most of her time, Ono found herself losing sight of the tragedy. While she was studying in Alaska, one of her professors announced that the body of former exchange student was found in Iwate. And that’s the main purpose of the Kizuna Project. “Kizuna” means “a connection” or “unifying friendship” in Japanese, and through Cultural Vistas Ono is actively making meaningful connections across borders. In addition to learning new skills and sharing her experiences about 3/11 with new friends, Ono has also redefined her career goals. Ono still has a little time left in the States. Once she completes her internship, she will have two weeks of independent travel, and she plans to visit Miami before returning to Japan on September 14. She has enjoyed participating in the Kizuna Project because it has allowed her to promote the understanding of Japan as it rebuilds after 3/11. And being in New York has been a positive experience. Thanks to Cultural Vistas and the Kizuna Project, we can be inspired by young people like Yuki Ono.